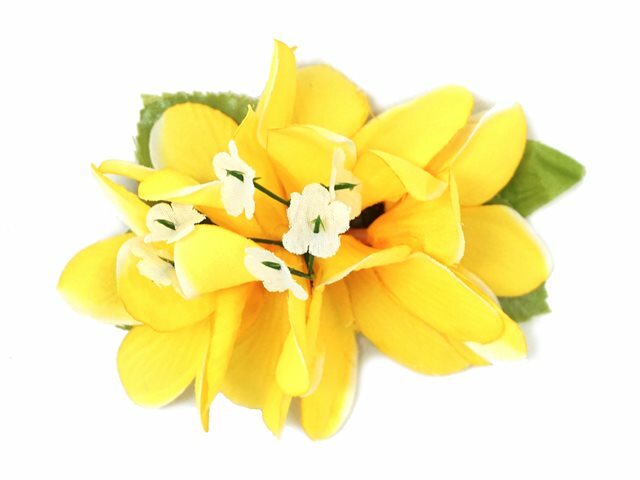 Purchased Item: Yellow Plumeria Hair Clip 4"
This clip looks real good in my hair and people I don’t know ask me about it. I tell them where I got it. Nice to put in my hair when pulled back into a ponytail - put it right over the rubber band. Dresses everything up.